I ran across this while surfing some WW2 sites. A B-17 damaged by flak, with the bombardier killed. Wow, those guys were men. 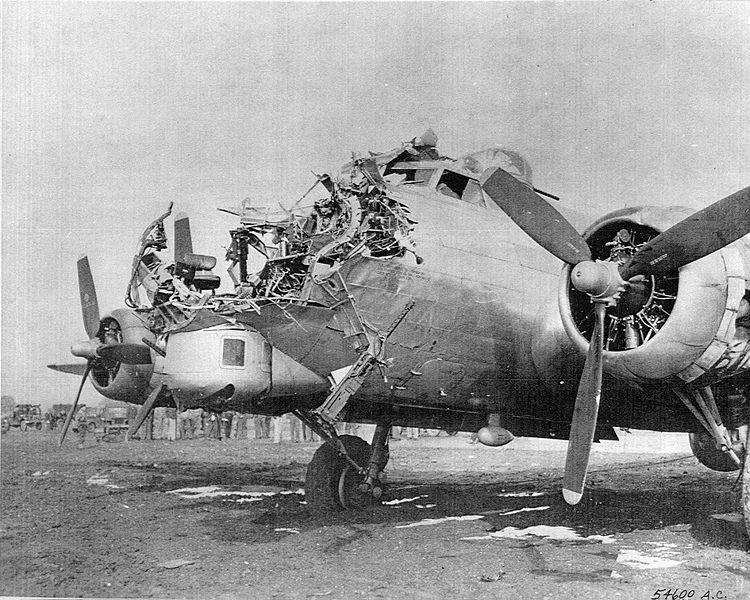 B-17G 43-38172 of the 398th BG damaged on bombing mission over Cologne, Germany on 15 October 1944. Pilot 1st Lt. Lawrence De Lancey brought the wounded Fortress back to Nuthampstead, UK, where photo was taken. Notice the upwards effect of the anti-aircraft shell; the bombardier was killed.